Who are China's disappearing execs? The chairman of state-owned China Telecom is being investigated by China's anti-corruption watchdog, the latest in a series of secretive probes carried out by regulators. China's Central Commission for Discipline Inspection said Sunday that Chang Xiaobing, who has led the massive telecommunications firm China Telecom since August, is under investigation for "suspected serious disciplinary violations." The Communist Party often uses "disciplinary violations" as a euphemism for corruption. In a regulatory filing China Telecom confirmed Chang is under investigation, but did not provide additional details. China Telecom is the country's largest fixed telephone line provider, and its third-largest mobile operator. The firm's shares were trading roughly 2% lower in Hong Kong. Before assuming his position at China Telecom (CHA), the 58-year-old served as an executive with China Unicom, the country's second-largest mobile phone provider. Chang is the latest corporate boss to be caught in the anti-corruption campaign that has been waged by President Xi Jinping since he took office in 2013. Experts had expected the long-running campaign to wind down, but this summer's massive market crash has led to a new wave of investigations and detentions. Regulators are cracking down on alleged insider trading and "rumor-mongering." Executives at both private and state-owned companies have come under scrutiny. 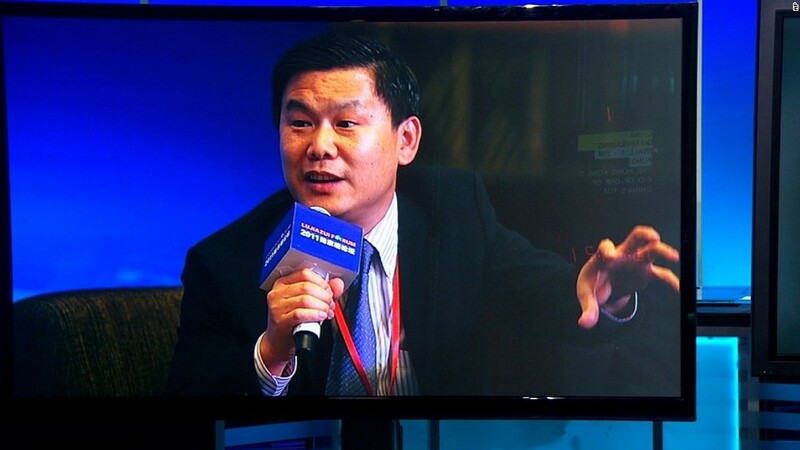 Zhang Yun, the president of Agricultural Bank of China, is one of the most high-profile executives to have been detained in recent months. The firm has assets worth $2.7 trillion, making it the world's third-largest bank, according to SNL Financial.